Buses are the principal mode of public transport in the Irish capital. 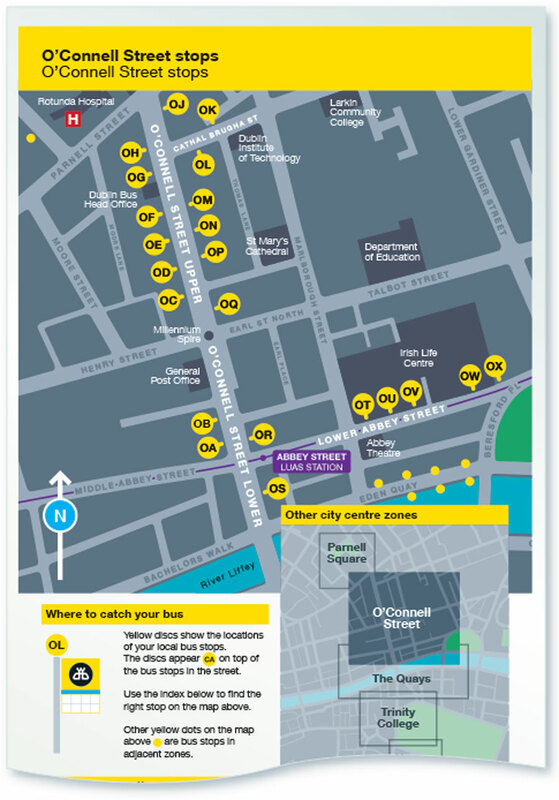 Customer information is key to the user experience as well as sustainable use of the network, particularly in understanding routes crossing the river Liffey. 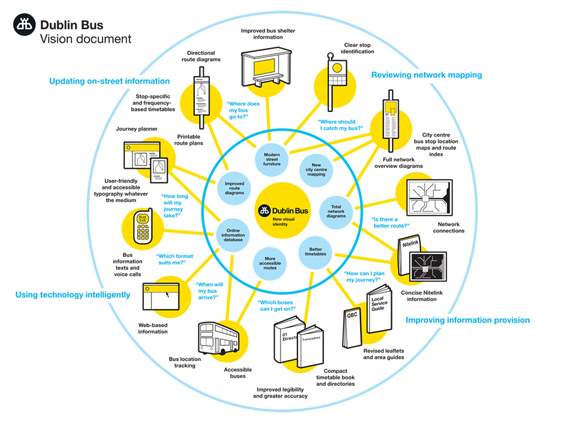 Malcolm Garrett collaborated with Dublin-based Image Now to direct a complete overhaul of the information Dublin Bus provides its customers, from network diagrams to bus stop timetables, as well as printed and digital information in multiple channels.